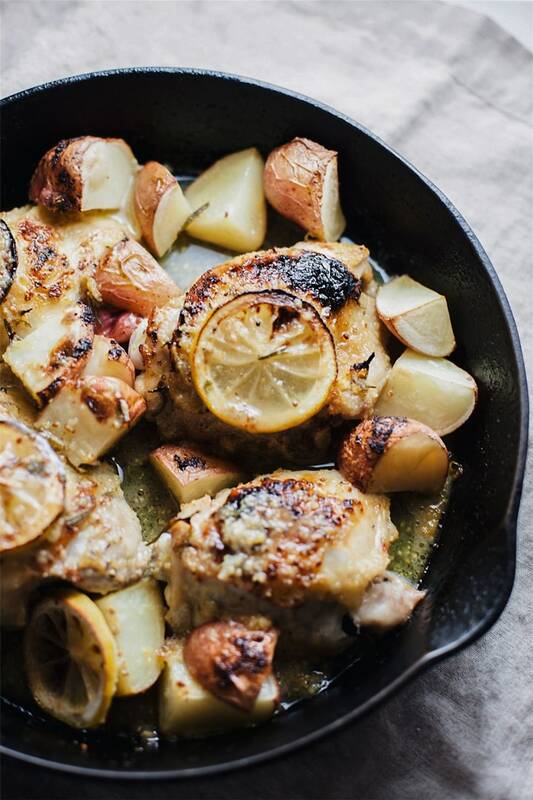 A flavorful, tender Roasted Lemon Rosemary Chicken with potatoes and an outstanding lemon-y sauce. 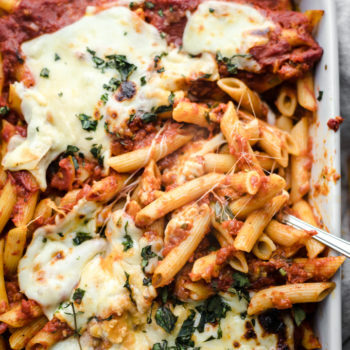 All you need is one pan and less than 1 hour to make this wholesome and delicious meal! 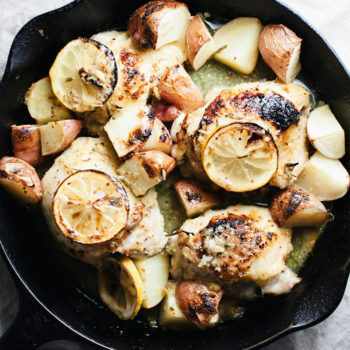 Today we are talking about this DELICIOUS Lemon Rosemary Chicken with a flavorful lemon-y sauce and hearty potatoes. 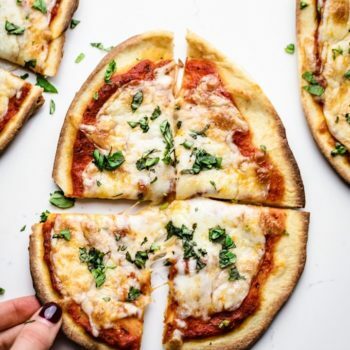 This recipe only takes a little less than 1 hour, made in one pan, and consists of only a handful of wholesome ingredients! I don’t know about you, but that sounds like something I need on busier week nights. The lemon-y sauce in this dish is made of garlic, lemon zest, chicken broth, and some dijon mustard. The sauce is really what brings this whole recipe together. When I made this for my family it was a hit! Our favorite way to enjoy this chicken & potatoes and lemon sauce is served over brown rice or quinoa. Enjoy this recipe as meal prep as well as a quick one pan dinner for busier nights! Chicken thighs are so simple to make and hard to mess up. You can bake/roast chicken thighs at 350F for 1 hour – or for this recipe, 425F for 40 minutes. You can do the higher temperature for quicker results, or lower temperature if you want to cook the chicken thighs lower and slow. First, place chicken in cast-iron skillet – season with salt & pepper. Arrange quartered potatoes around chicken. Whisk all of lemon sauce ingredients together. Then pour lemon sauce over chicken and potatoes. 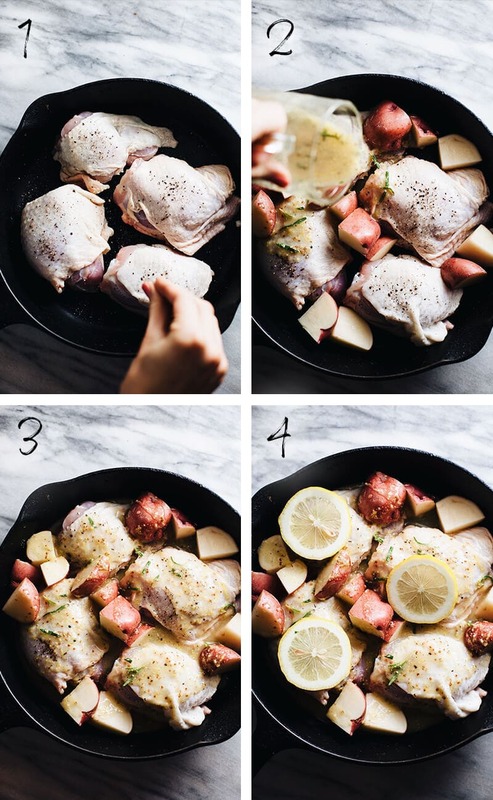 Place some lemon slices over top of chicken thighs and cook for 40 minutes – broil for 1 minute at the very end to slightly char chicken and potatoes. You can replace chicken thighs with chicken breasts for a leaner cut of protein. You can add additional herbs to this dish like parsley, oregano, sage, or thyme for extra flavor. The best potatoes to use in this recipe are baby potatoes or red potatoes. What Goes with Lemon Rosemary Chicken? This recipe goes with just about anything. My favorite way to serve this recipe is with rice or quinoa, steamed broccoli/cauliflower, or a big vegetable salad. Preheat oven to 425F. Lay chicken in cast-iron skillet - season with salt & pepper. Arrange potatoes around chicken thighs. Whisk all of lemon sauce ingredients together in a bowl - chicken broth, lemon juice & zest, honey, olive oil, dijon mustard, garlic, and chopped rosemary. Pour lemon sauce over chicken thighs and potatoes. Lay any extra lemon slices over chicken thighs and bake for 40 minutes - broil for 1 minute until chicken and potato edges are slightly charred. Serve chicken and sauce over rice and enjoy! If you would like to use a leaner protein in this recipe you can replace the chicken thighs with chicken breast. You can add additional herbs to this dish like parsley, oregano, or thyme. The best potatoes to use in this recipe are baby potatoes but red potatoes work fine as well. I serve this recipe with brown or white rice. This recipe creates a beautiful lemon-y sauce that is perfect to have with the chicken and potatoes over rice or quinoa. You can also serve with vegetable salad or additional roasted vegetables. Saving this recipe!! Can’t wait to try it looks so delicious and very easy. This looks like the perfect weeknight recipe. I love the combo of lemon and chicken and need to experiment with chicken thighs more instead of always buying chicken breasts! I have been utilizing lemon a lot in my roasting of foods. This sounds delicious. Lemon pairs lovely with rosemary! Thank you, Cindy! It’s one of my favorite chicken recipes. 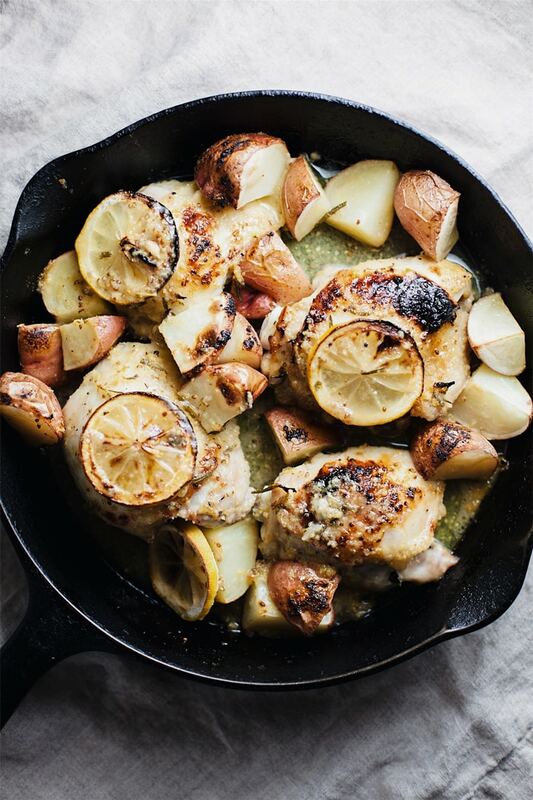 What a gorgeous looking dinner, I love lemon with chicken – even better all cooked in the one pan! Lemon and chicken are always a great combo! Such a great recipe!! I love lemon with chicken, in various ways, and roasting is definitely a favorite. 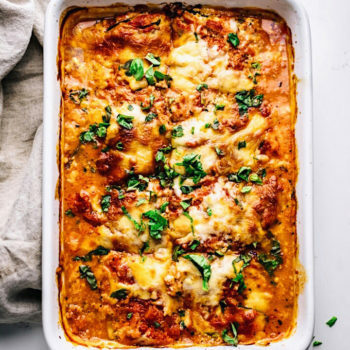 This looks such a great easy, comforting dish. Made this tonight and it was SO delicious! Definitely going into our rotation. My husband commented that it tasted like it could be from a restaurant. 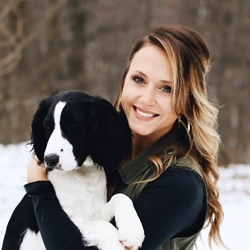 Super easy to throw together, too, Thanks for sharing! Yay!! Thank you, Jackie! We make it quite frequently around here. 🙂 I’m so happy to hear you both enjoyed it! Excited to try this! Would you keep the cooking time the same for a bone in thigh? The pic looks to be with skin but the recipe says boneless skinless. Thanks!! I actually used skin bone in thigh for the pictures! But usually just recommend boneless + skinless. Roasting time is the same for both! Hi, Love the combo of lemon and chicken. Never tried this before. But this recipe looks yummy also interesting. So, Can’t wait to make this tonight. Thanks for the sharing this recipe.